In between the NCAA's December and February signing dates, the Utah football program's unofficial January recruiting period went as well as the Utes possibly could have hoped. Utah’s four juniors who were potential early entries in the 2019 NFL draft all are staying in school. Running back Zack Moss, defensive linemen Bradlee Anae and Leki Fotu and cornerback Julian Blackmon have told coach Kyle Whittingham they will play as seniors, Utah announced Monday as classes resumed on campus. The NFL’s deadline for underclassmen is Jan. 14. Each of the four made the All-Pac-12 first or second team. The personnel update means Utah will lose only nine starters (including two kickers) from the team that won the school’s first Pac-12 South championship. Utah (9-5) lost to Washington in the Pac-12 title game and fell to Northwestern in last week’s Holiday Bowl. 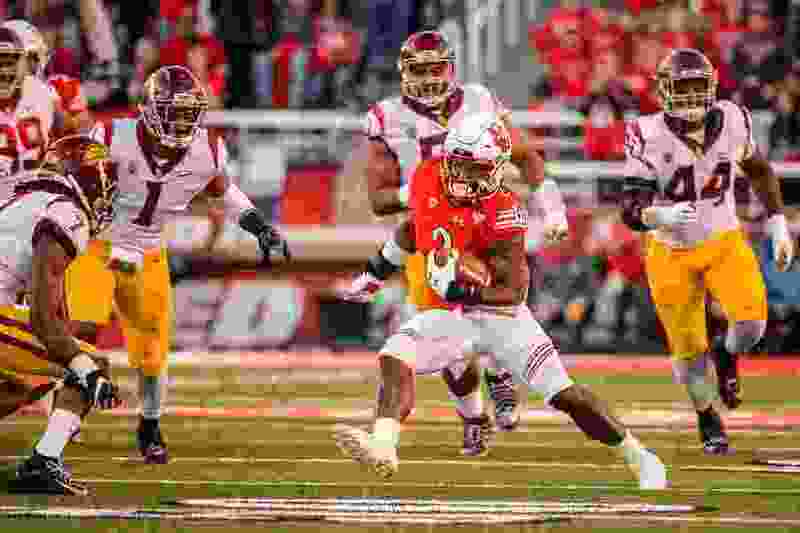 With more than 30 seniors on the roster, the Utes likely will start the 2019 season somewhere in the middle of the AP Top 25 and be a popular pick to repeat as the division winner. The Utes will join Oregon and Washington among the Pac-12′s overall favorites. Quarterback Justin Herbert and two offensive linemen are among Oregon’s important players who chose to stay in school. Defending champion Washington is losing junior defensive backs Byron Murphy and Taylor Rapp to the draft, among other departing stars. Whittingham had said in December regarding his key juniors that “we may well have nobody declare [for the draft], but if you're putting percentages on it, probably a guy, maybe two” will depart. Moss' knee injury in November could have steered him in either direction. He chose to stay and play one last season with quarterback Tyler Huntley and receiver Demari Simpkins, his Florida high school teammates. Moss made the All-Pac-12 second team after rushing for 1,092 yards in nine games, prior to the injury that stemmed from a pre-existing condition and required surgery. He needs 573 yards to break Eddie Johnson’s school record of 3,219 career rushing yards, set in 1984-88. Anae led the Pac-12 with eight sacks and joined Fotu on the all-conference first team. Blackmon, who returned an interception for a touchdown against BYU, made the second team.